Picture this: You head out early after a spring rain with your paddling buddies to run some of the biggest rapids of the year. Everything is going awesome until… A paddler just down river from you flips, then egresses his kayak. He struggles to gain the upper hand on the river’s force, but his leg slides between some large rocks. The river rips his upper body down-stream, and, even over the whitewater roar, you hear an audible “THONK!” “It must be his femur!” you think frantically. But you are at least 2 miles walk to the nearest road… What do you do next? Are you prepared to help? Eli: Yeah, it’s a little different, haha. J: So [when you go over a waterfall] in a kayak, you can stay inside and maybe just ditch your paddle. Do you have to jump out of the canoe? E: Well, in a canoe you fill up with water when you flip upside down, but you can still flip it back upright. It’s really body mechanics to get it back on the surface. J: Are you, like, strapped into the thing? E: I used to use straps, uh, but I got drug down a river years ago by gettin’ my foot caught in a strap, so I prefer what’s called a foam bulkhead. Basically I have my feet on foot pegs– it’s kinda like I’m always ready to jump. And then my knees are covered with high-density foam, so when I turn or when I jump, the boat moves with me. J: What’s your biggest waterfall? E: The biggest one I’ve run at this point, as far as a vertical fall, is a 42 footer in Mexico on the Rio de Oro- The River of Gold. There’s a 42 footer, then about 100 feet of flat water, then another 40 footer. It’s pretty cool. It ends in the ocean! You run waterfalls, and then end up on the beach. J: Awesome. Sounds like a big trip. Do you go with a bunch of people? E: Every winter, I work with a company out of Canada called Esprit, and we run trips. I’ve been pretty successful with my canoeing- I’ve got 4 world championship titles under my belt, so I go down as kind of a pro that people can paddle with… Really it’s an excuse for me to get away from the snow and play in the sun for a couple weeks. J: You also mentioned the River Runners? E: Team River Runners, yeah. There are chapters all over the country. There are some places that I’m surprised there are not [chapters] yet, though. Ft. Richardson would be a perfect place for Team River Runner because you have the Eagle River running right through the base. It’s a program that’s designed to give a feeling of self back to some veterans that have been physically or emotionally damaged. A lot of times, getting’ those folks back out in the wild gives them a chance to be themselves again and figure out who they are. Team River Runner offers the support of taking those folks, teaching what they need to know, taking them on trips, and freeing them to take themselves out on their own. It’s kinda like some of the Wounded Warrior Project, but this is water based. J: Right on. There’s one I’ve seen in Wyoming that is fly fishing based, too [Project Healing Waters]. E: Yeah, I think all of those programs are great. You know, we think about PTSD as being vets, but it affects everybody– anybody that has constant exposure to challenging situations. It’s a way to blow off steam, and get out in the wild. J: So what do you do to pay the bills? E: Haha… I do a lot of different things. I teach for the NOLS WMI probably 80-100 days out of the year. I run my own business. It’s called The Canoe Guru, where I try and train people to improve their skills and play in canoes in ways you don’t typically think of playing in canoes. 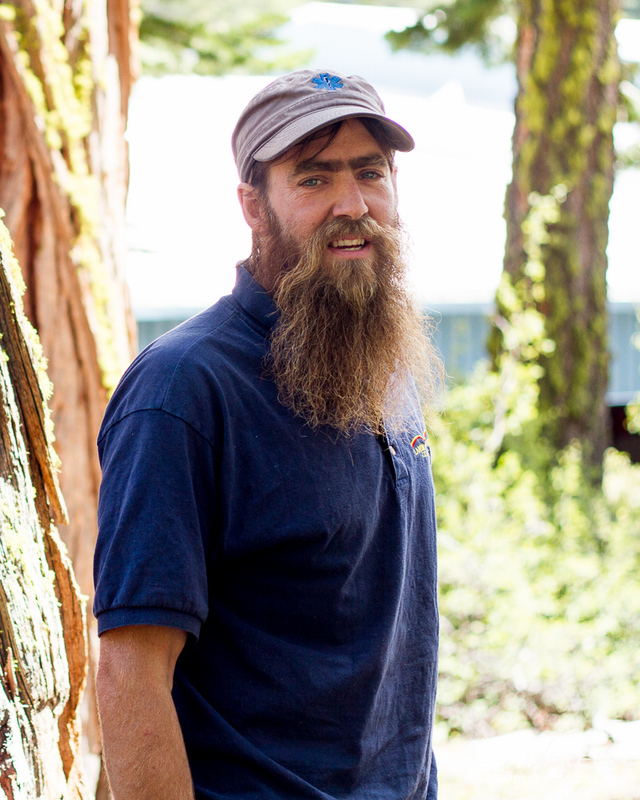 I also am a sales rep for a canoe company in the South Eastern US– Esquif Canoes out of Quebec. And I do manual labor… You gotta do what you gotta do. J: Hey, it allows you to keep doing what you love. 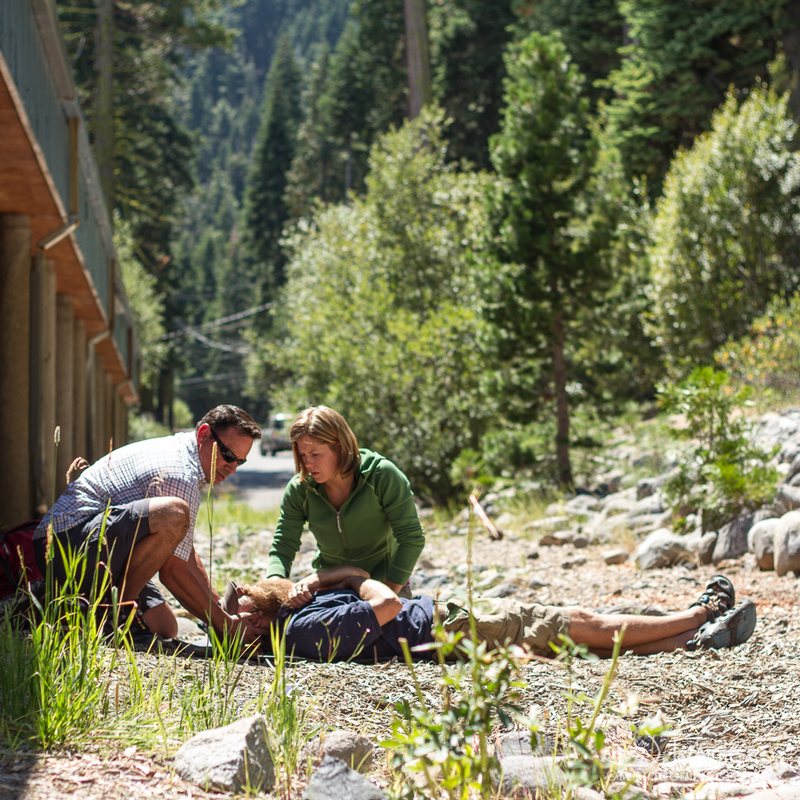 Do you have a proudest wilderness medicine moment? E: Looking back on it, I always feel good when I see that I’ve been able to alleviate pain. I’ve been able to splint a few people up and see the stress relieved in their face. Being a boater I’ve seen a lot of dislocations. I’ve reduced many shoulders and helped them limp home. One that scared me, and made me decide I was going to become a Wilderness EMT, was when we dealt with a femur fracture. I still remember cutting up life jackets and using throw-ropes to make a traction splint. It was a pretty lengthy evac with that guy. I was pretty proud of it because it was 30 lawyers (he was the intern), and none of them sued! J: That’s awesome, haha. I think this course [WFR] is really beneficial for reasons just like that. We have such a wide range of people in the course. If you were going to recommend to someone to attend a wilderness medicine course, why would you say it’s so important? E: I think that, although we think about this as being a wilderness medicine course, in this day and age with natural disasters and potential terrorist threats anywhere can become a wilderness scene in short order. Just being prepared and having that feeling of being able to calm down… Knowing that you’re taking action and making good decisions. For those that do play in the woods, it definitely makes us think about what we carry and how we’re gonna react. [The range of students] is a bit extreme, I mean, we’ve got you guys in the Air Force with some experience, and we also have 16-year-old kids in here who are just starting to figure out what they want to do. J: Great thoughts. Hey thanks for the chat, Eli. Do have anything else you’d like to share? E: I’m really psyched to see more military folks than we used to… I’m thankful that you guys are looking outside your standard training channels sometimes. You’re looking at other people, and instead of classifying us a just crazy hippies with weird skills, you’re looking at some of the value of what we’ve learned through experience. So, thanks for being here. Justin: What is your favorite location to ski? Is it out here? Brandon: Yeah, it’s the West Shore of the Lake Tahoe Basin. J: That’s awesome. I’ve never had a chance to ski or snowboard out here, but I love Jackson Hole, Colorado, and Utah. B: Before I lived here, I lived in Victor, ID right over Teton Pass so I skied a lot of that backcountry, too. J: Nice. Victor is a pretty cool town. Some of my friends from my hometown Casper used to live there, too. Tell me about what other projects and work you have going on in addition to teaching for NOLS. Avalanche Forecaster Brandon Schwartz studies the layers in a snow pit to determine backcountry conditions. Forest, Sierra Avalanche Center— that’s where I spend most of my year as far as work. That involves creating daily avalanche bulletins, and doing a lot of backcountry skiing to collect field data for the bulletins. I also really like sailing. 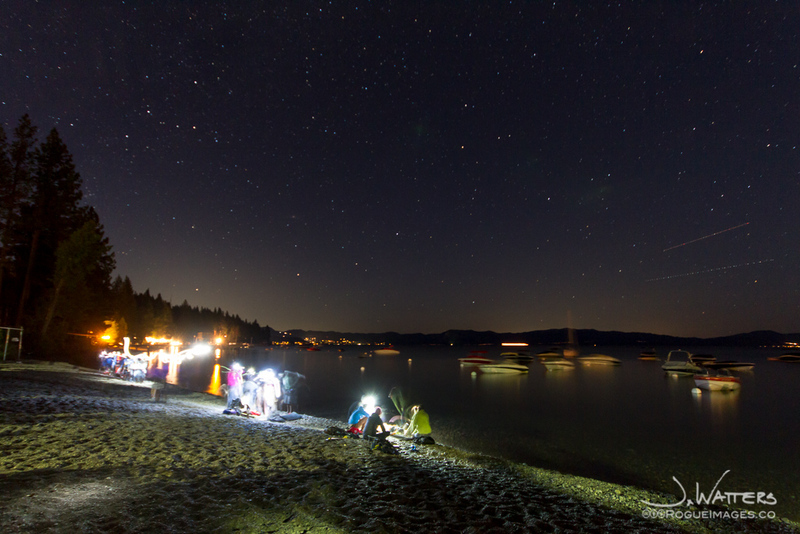 It’s another big passion of mine around here in lake Tahoe, and also San Francisco Bay and the California Coast. And I spend a lot of time with my wife. That’s kinda what my year revolves around. I guess mountain biking, surfing, and wind surfing would be my other hobbies. J: What kind of training have you had to do in order to do the avalanche work? I know it can be pretty tough to get that kind of training. B: Yeah, so I have a US Avalanche Certification up through Level 3, and then field experience starting with data and observation submission and then moving into a forecasting role. There’s a lot of professional level continuing education. I’m looking forward again to going to the International Snow Science Workshop coming up in Banff. It happens every two years and is a highlight for me as far as ongoing training. J: And what are your certifications through WMI? 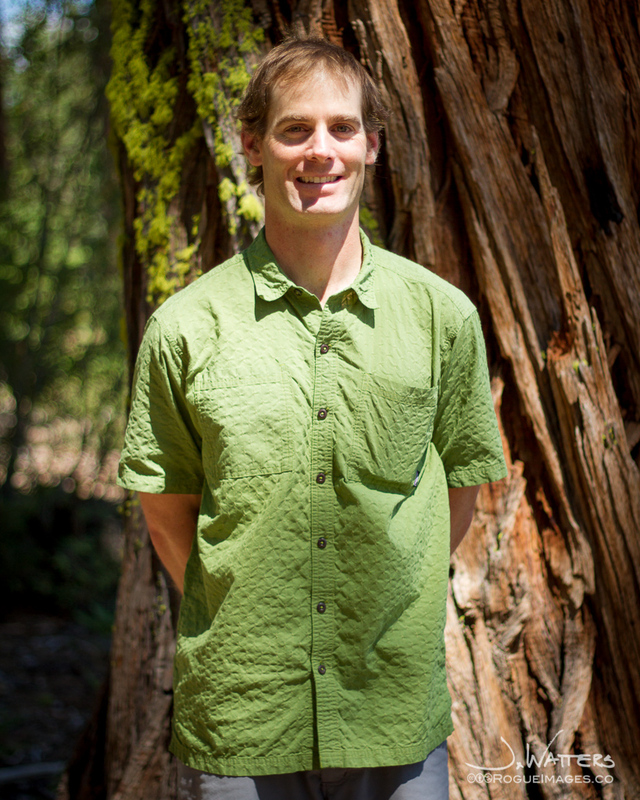 B: I’m a long course instructor for the WMI, and then also a Course Leader (CL) in the hiking program for NOLS field. J: Right on. So you do WFR and you also do the Wilderness First Aid course as well? B: Yeah I teach everything that we offer—first aid classes, WFR, WFR recerts. The course I’m teaching after this is a five-day course. It’s an upgrade for medical professionals. I’ve taught our wilderness medicine expeditions for physicians and I’ve taught other custom courses as well. J: So, what do you want to be when you grow up? B: Haha. I want to be someone who’s able to do a job that I love all the way until the day that I retire. J: Do you think you’ll stay out here in Truckee for a while? B: I do. I’ve put down a lot of roots here, and I definitely see myself staying. J: What is your proudest wilderness medicine moment? B: Let’s see. I always like when we get emails in from students who talk about how there training served them well in the real world, but I think my proudest moment was last October. I went and taught a course in the Philippines. There was a large earthquake while I was there, which is not uncommon, and after I left there was a large typhoon. I got word back that all my students from the course had been put into various groups. They had gone out as one Wilderness First Responder plus a bunch of other untrained but willing volunteers. They went from house to house after the typhoon, and they had gone into 1600 homes in the course of 4 days providing what medical care that they could for everyone that was there. I definitely feel like it was one of the times where maybe the training that I gave folks made a bigger difference in a greater part of the world for some less fortunate folks than us in the US. J: Yeah, this kind of training is great for backpacking and skiing and that kind of stuff, but it’s also applicable to, like what you’re saying, a typhoon or earthquake. It’s pretty crazy how a normal, everyday area can turn into that wilderness environment pretty quick. So if you were going to recommend to somebody that they take some training like WFR, why would you say it would be important? B: Well, I think it’s only important when you want to be able to give to the people around you. If all you want to do is take, it’s not that important. But if you want to be a better travel partner to someone else, if you want to make a difference in someone’s day, then the knowledge and training allows you to recognize that maybe something they thought was going to be severe, turns out to be minor; or something that they thought was minor, is potentially more severe. You can help them make better decisions. Fire Up. Get Dirty. Scare yourself. Bleed. Do More Than Just Survive… THRIVE! Mom says, "Sharing is good!"